One reproducible local model for responding to refugees, sponsored by the UISG (International Union of Superiors General of Roman Catholic religious communities), will launch in just over a month. In Sicily, where 7500 refugees have landed so far this month, bringing the total to 85,000 since January, helpers are overwhelmed. While a number of Catholic religious communities have already changed the thrust of their work to focus on welcoming refugees, a huge need remains. After the initial welcome and emergency help, refugees need a second stage of assistance. While the first response of welcome, food, and shelter remains important, the further needs loom even larger. 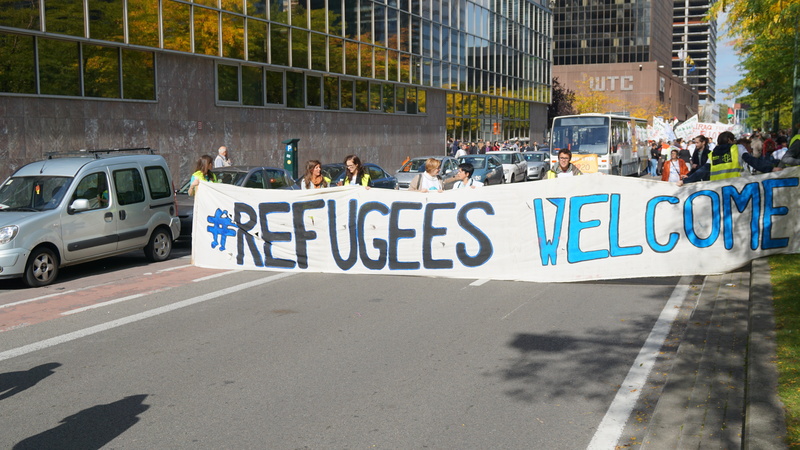 The UISG has been asking, “Who will help the refugees manage the transition to a new language and culture? Who will help them find work? Who will build long-term relationships with them and help them integrate their lives into a new society?” The UISG’s answer: Two international communities of Roman Catholic religious, trained especially to help with the integration of refugees into society, will soon move to Sicily to begin work there. Intentionally intercultural, the two communities consist of nuns from India, Eritrea, Kenya, Democratic Republic of Congo, Ethiopia, Argentina, Poland, France, and Italy. Because most of them are foreigners themselves, the sisters feel that they stand in a good position to empathize with and support refugees. Furthermore, since their communities have taken on the challenge of intercultural living, they have firsthand experience with what it means to live with people whose cultural habits are different, whose mother tongue is not their own. They plan to work on the front lines with the refugees, going out into the streets to build relationships with people. Rather than coming in as the experts, they will work with the people to help them find their own way, considering the people to be “active subjects and protagonists of the integration process.” The sisters are considering buying a motor home to live in, so that they can be more accessible to refugees in different parts of Sicily. The UISG is experimenting boldly in a time of crisis. Only through bold experimentation of various kinds will the refugees and host countries find a way forward. May this experiment in assisting the integration of refugees succeed, and may it inspire many other such experiments.